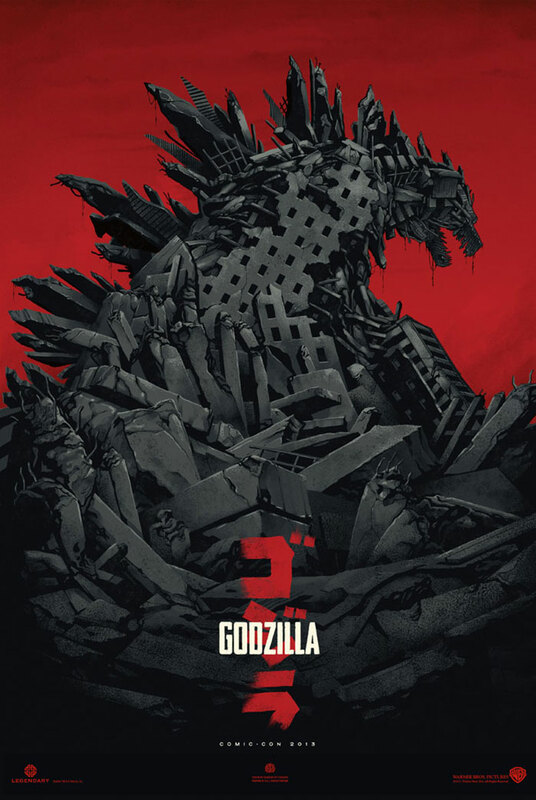 Released through Mondo, this awesome print was unveiled at San Diego Comic-Con 2013 for the 2014 remake of Godzilla. 275 limited edition prints were released at a price of $45, 100 orange tinted variant pieces was also released at a price of $70. They both measure 24"x36". Due out in 2014, This new remake is being directed Gareth Edwards and stars Aaron Taylor-Johnson and Bryan Cranston. The story follows Godzilla, a giant radioactive monster, who awakens from its slumber to wreak destruction on its creators.